Trying new colors can be fun. It is even more fun when you know you're not damaging your hair in the process. Purple is a beautiful color and one of my favorites too. It has been worn by the brave and bold for quite some time now. If you are going for a fun color but are tired of the same natural-looking shades, try purple. It can be anything from cute to royal. Purple also looks great in streaks as an accent. These techniques are semi-permanent so they will fade over time. They don't have any harsh chemicals, so they are also safer to use and are better for the environment as well. Note: These work best with blonde or light brown hair. If your hair is dark you'll have to lighten it first to see results. You can use blackberries to dye your hair purple. This way is easy and all-natural. 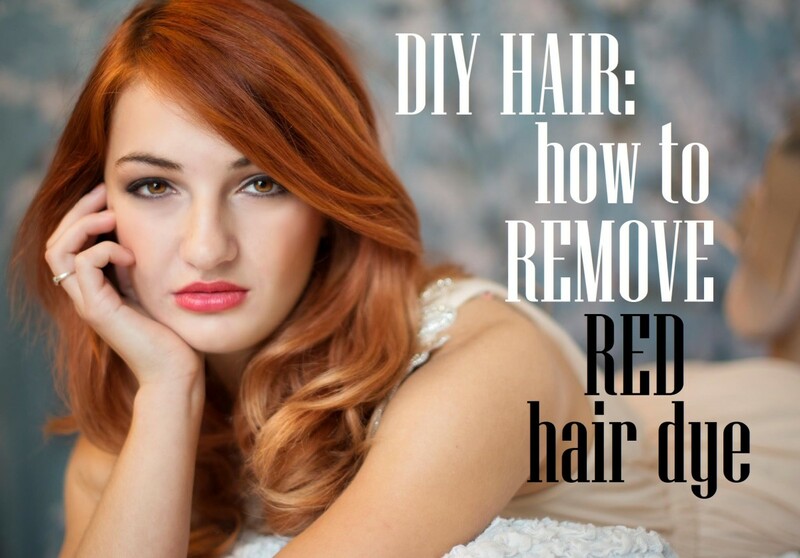 Dampen your hair since this method works best with your hair a little damp. Put the blackberries in the bowl. Mash them up as best you can. Work the mashed-up blackberries into your hair like shampoo. Let it set in your hair for a couple of hours. Rinse out with water and towel-dry your hair. 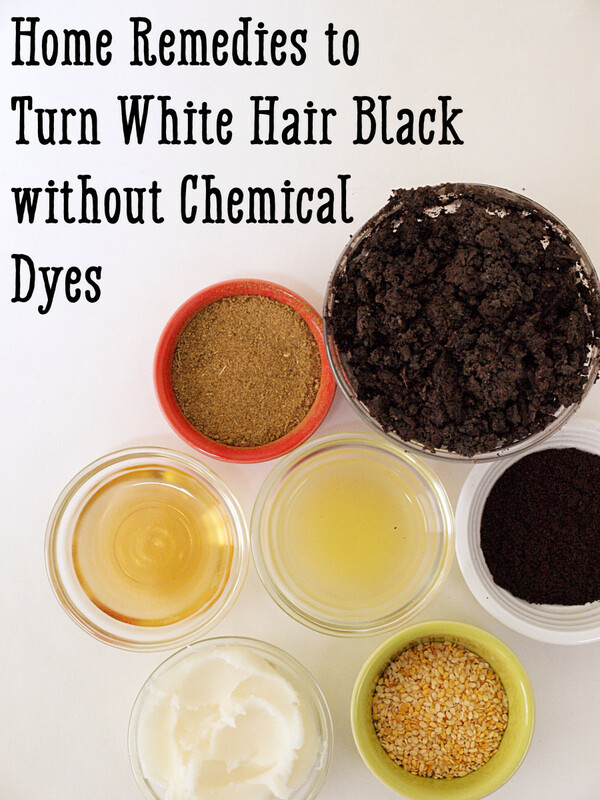 This is a great method for coloring your hair. The only downside is that you cannot pick the shade of purple you want—it just takes on the color of the berries that you have. Food coloring can be used to dye your hair too. This is not all-natural but there are no harsh chemicals so you don't have to worry about damaging your hair. This way is also very inexpensive, costing less than five dollars. Put the conditioner in the bowl. Add a few drops of red dye. 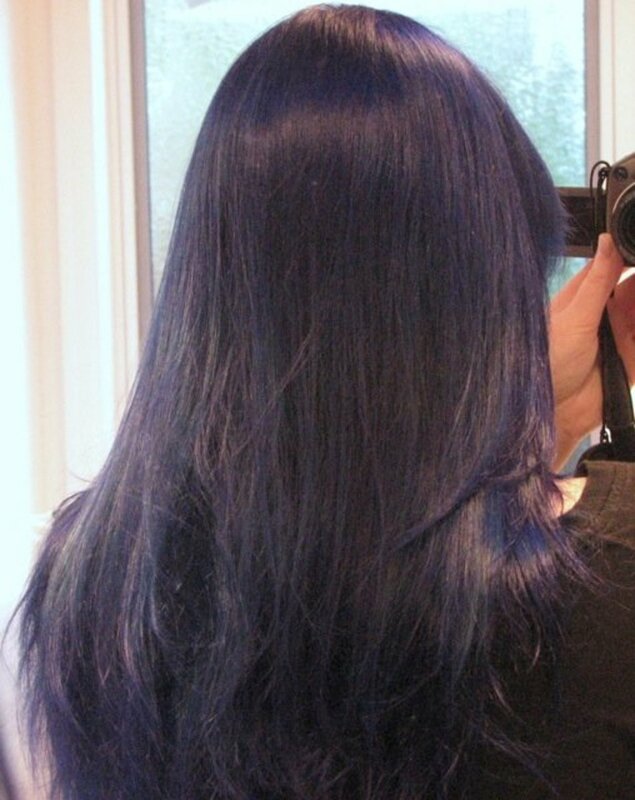 Add a few drops of blue dye. Mix well to see if this is the desired shade of purple. If it is, then you can apply the dye and if not, then you can adjust the shade by adding red or blue food coloring. When applying, try to get the hair covered evenly to avoid streaky or blotchy spots. Leave the dye in for four to six hours. Wash dye out with just water. Try not to wash your hair with shampoo or conditioner for a few days so that the color does not wash out and has more time to set in. 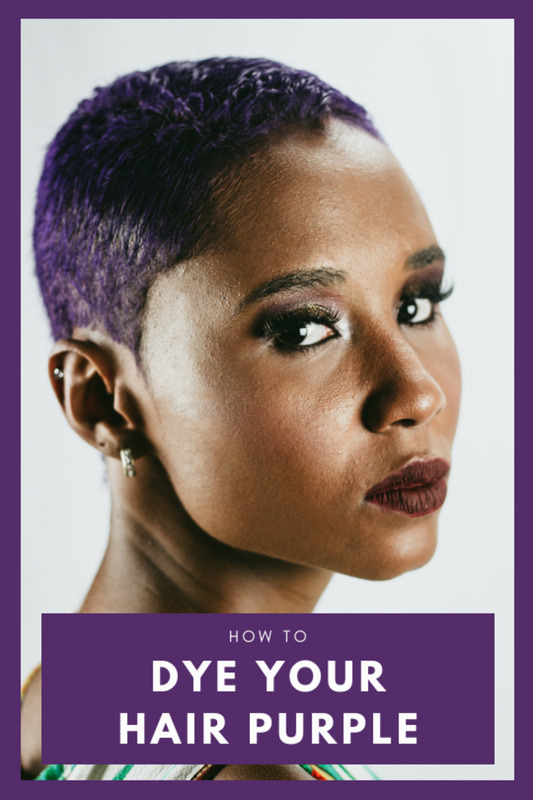 You can use just about any kind of powdered purple drink mix to color your hair. Even jello mix will work. This way gives you more shades of purple to choose from without having to create the specific shade yourself. Pour the drink mix into the bowl. Apply the mixture to your hair evenly using the brush. Let the dye set for four to six hours. Rinse out the dye with water. If you want the shade to be deeper or brighter, you can add another packet of drink mix. All of these techniques work well but they are still semi permanent. This means they will fade over time. Try not to wash your hair for a few days after trying any of these. A good way to lock in the color is to rinse your hair with vinegar before washing out the dye. @Pat Stone the purple dye and kool-aid was actually done before manic panic came out the women who created Manic panic came out with it so people did not have to mix kool aid and hair conditioner together and more. I have waist length hair so to afford the bleach and such would be roughly 40 to 60 dollars for me. SO I combine koolaid with food coloring with hair conditioner. I wrap my head with plastic (hair only) and sleep with it in my hair then I rinse it out the next day. Also another thing is to not do this the same day you bleached it unless you wash it with dandruff shampoo reasoning is dandruff shampoo is not rough on your hair and will keep it from being stripped.As bleaching by it self strips your hair of it's natural oils that you actually need to have it healthy. You are pictured with dyed hair that in no way was dyed with blackberries. You present no source, photo or video of anyone doing this and expect us to believe it works. Well, I have seen the yourube videos where people actually this and fail. Stick to what you know, please. Stop misleading people and wasting their time, money and food. You can have success without making stuff up and deceiving people. I have dark brown hair. Last yearbi used Kool-aid to dye my tips red. It worked great. It did only last a few weeks. And for about a week it looked like I killed someone in the shower. About 7 months later I still had a tiny bit of red hue in my hair. I think all depends on you hair. I plan on trying with purple kool-aid soon. I hope it works. 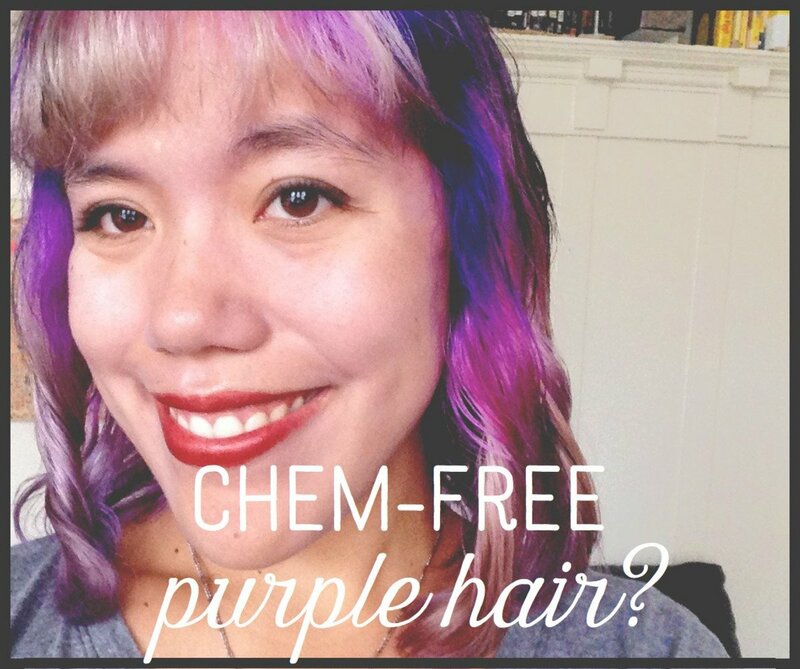 One of my best friends told me I would rock the purple hair, but I'm very sensitive to chemicals, so chemical hair dyes are out (plus, I like my hair too much to damage it). This gives me some ideas for something like highlights (I'm not brave enough for all-out purple)! I currently use splat to dye my hair purple, i may try the food color as a booster! My hair is black, will it show up if I use the blackberries? I want to try it!! It will show up as more of a tint than vibrant color. Yes you can use strawberry :) The hair dye lasts for a few days to a week. 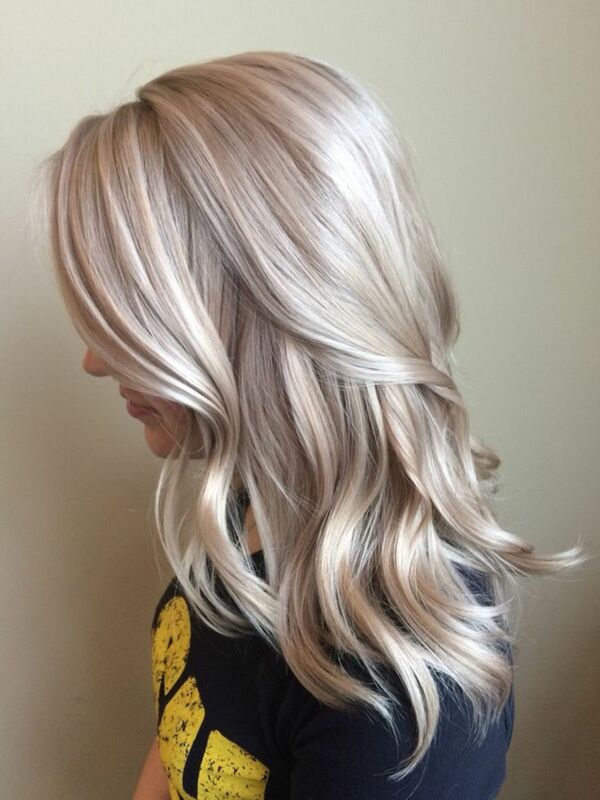 Will this show up on dark hair? I have always liked a splach of colour in my hair, originally having a strip and I now have my tips. I would never have thought of any of these ideas, how long do they usually last?